Learn how or refresh your knowledge and skills to provide first aid in this one day first aid training course. New course codes (versions) are mandatory from May 2012 – all courses completed under the old versions prior to May 2012 are still valid – 12 months for CPR and Advanced Resuscitation and 3 years for Provide First Aid and Provide Basic Emergency Life support. First Aid Action will provide you with the knowledge and skills required to administer first aid to a casualty who has sustained an injury or illness, until the arrival of professional medical help. Whilst the theory and concepts of First Aid are covered in the course, the Provide First Aid One Day Course focuses on the various practical skills needed to administer first aid. A workbook and manual is given to the client to complete prior to attending the course. This allows the client to study the theory at their own pace. Our One Day Provide First Aid course uses a very “hands on” approach where theory is learnt while performing scenarios relevant to the client’s industry. We use a theatrical approach to the role plays to make them appear very realistic. Mix’n’match games, group activities, video and PowerPoint presentations makes this course interactive and a very enjoyable learning experience. We also have a new addition “Eileen” who is a full sized manikin to assist with demonstrations and scenarios. This course can also be delivered over two days (no workbook required) depending on the clients needs. The Nationally Recognised Provide First Aid Certificate is valid for 3 years after which a Provide First Aid Refresher course is completed. The Cardio-pulmonary Resuscitation component which is covered in the Provide First Aid course, must be updated every 12 months to maintain competency in the skills required in an emergency situation. First Aid Action is a registered training organisation (RTO), recognised within the VET quality framework. This course is designed to meet the requirements of nationally recognised competency standards. 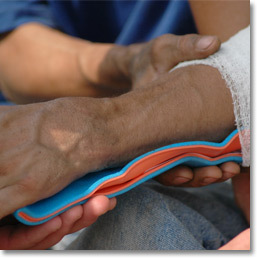 First Aid Action are very flexible in the delivery of any of the courses. All of the courses can be conducted on your premises for your convenience or come and join us at our venues at the Tingalpa Hotel (Tingalpa) or Brothers Leagues Club (Raceview) – please view our calendar via the home page. 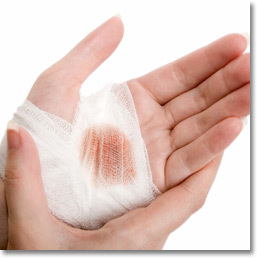 The one day Provide First Aid course can also be divided and delivered over 2 days if that is more convenient. We can also conduct the course in two full days (no workbook required) depending on the clients needs. Please do not hesitate to call and find out when the next courses are being conducted or to make a booking.